The Branched-Chain Amino Acids (BCAA's) are a group of so-called essential amino acids consisting of Leucine, Isoleucine and Valine. The BCAA's are among the 9 essential amino acids for humans, because our bodies can’t manufacture them, so their only source is our daily food or food supplementation. On the other hand, they account for 35% of the essential amino acids in muscle proteins. Standard BCAA products typically contain a 2:1:1 ratio of Leucine, Isoleucine and Valine, however on the market the new standard for BCAA’s is a dominant ratio of Leucine, 8:1:1 to the other BCAA’s. With this ratio you don’t have to increase the total product dosage to get high levels of Leucine. 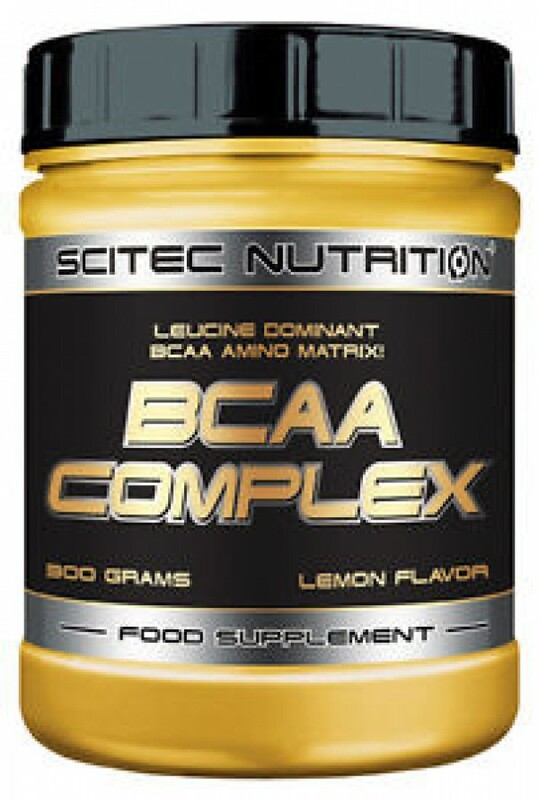 However, our BCAA COMPLEX formula doesn’t just stop with a new BCAA ratio! Glutamine is a top ingredient for athletes in popularity, so we included it to boost Glutamine intake levels as well. To increase the complexity of the formula, we added the amino L-Alanine as well, which is second only to Leucine in rate of occurrence in proteins and it’s par ticularly concentrated in meats! Directions Mix 1 serving (10 g) daily in at least 300 ml water. Allow the drink to sit for a while to increase the dissolution of ingredients. Consume around, and/or during your workouts or competitions. 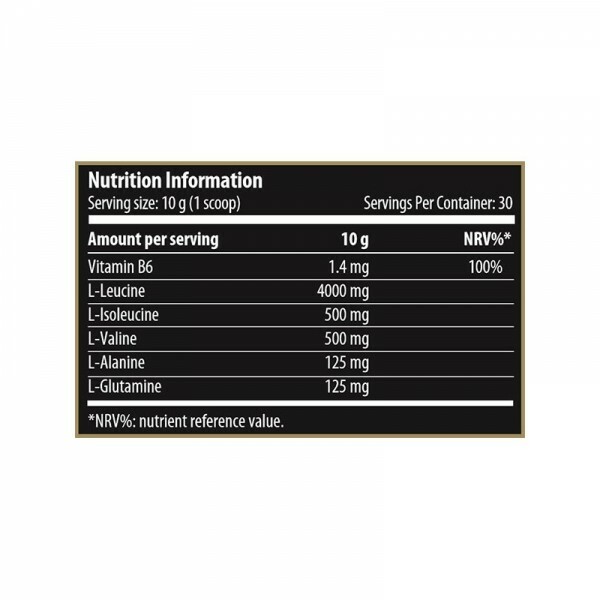 Extra servings can be taken any time when aminos are needed, for example every 3 hours if Leucine is not provided by your food.